Here are photographs of older lactating mother coyotes. From a distance their condition might easily be missed, but zooming-in on an image clearly reveals the state of the coyote. Mother coyotes are nursing their pups at this time and they are very protective of them. By five to six weeks of age the pups will have been weaned, but the family remains a very dynamic group for interacting, learning, helping each other, playing and hunting. 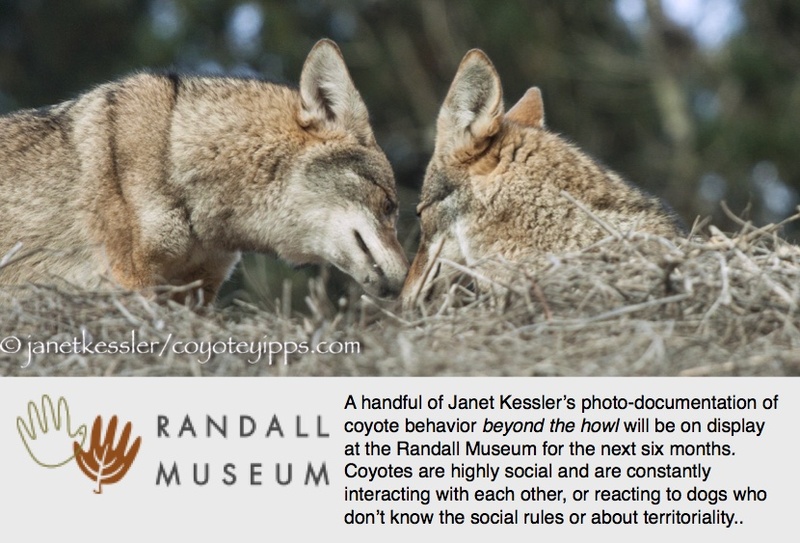 The family unit is an extremely strong one for coyotes — this is something we humans need to be attuned to. A mother coyote will watch out for her pups well beyond the point when they are old enough to fend for themselves. There is only one breeding female and one breeding male per “pack” of coyotes — a “pack” is actually a family unit. 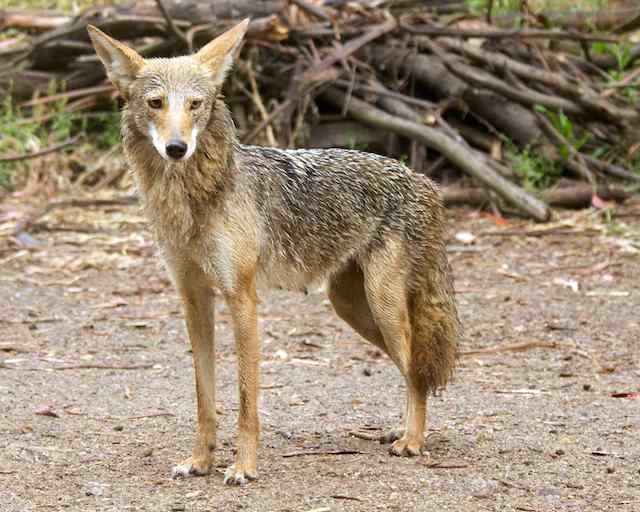 Unrelated coyotes do not band together as a “pack” as do feral dogs. Sometimes the dominant one is the female, and sometimes it is the male of the breeding pair — in this case, it is this female mother. 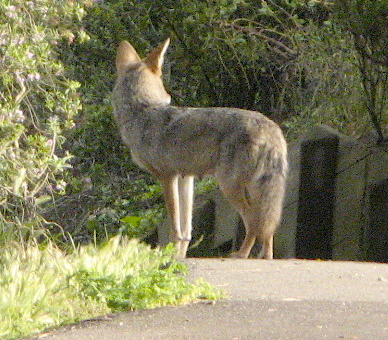 It is this dominant coyote which we all need to develop respect for if we want coexistence to work in our urban parks. 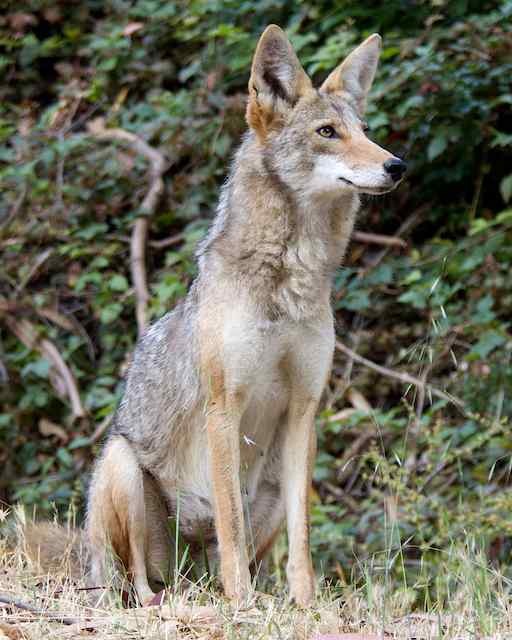 Respect means not allowing our dogs to intrude on her — by leashing up in a coyote area. Previous Entertainment: Abandon and Fun With A Ball! Next Do Coyotes Eat Thistle?